© Copyright By Crow Creek Pipes and Drums. All Rights Reserved. Crow Creek Pipes and Drums is a non-profit educational organization that teaches and performs traditional Scottish Highland bagpipe music. 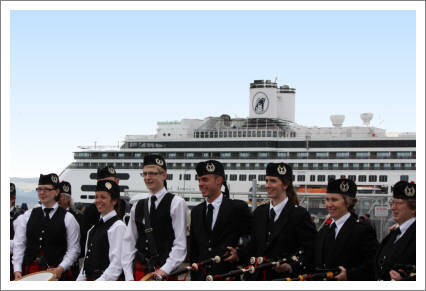 To improve as a band, we have also competed at Scottish Highland games in Washington, California, Canada and Scotland and annually compete at the Alaska Scottish Highland Games in Eagle River, AK. Scottish bagpipes and drums on a nondiscriminatory basis.